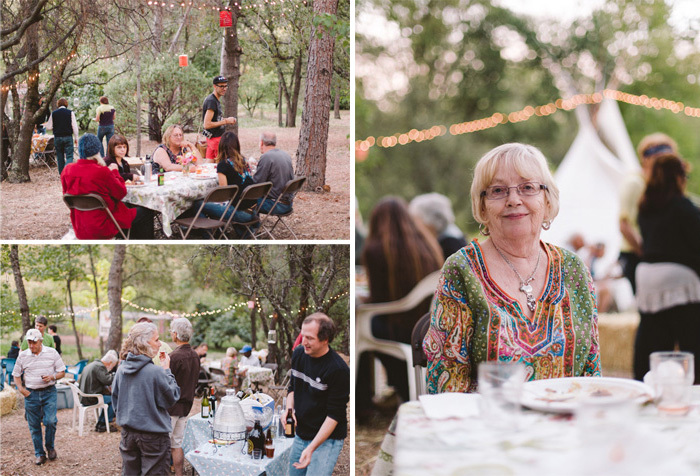 Last-last weekend was our annual Harvest Party — the seventh one, and now a bona-fide tradition here at the Ranch! 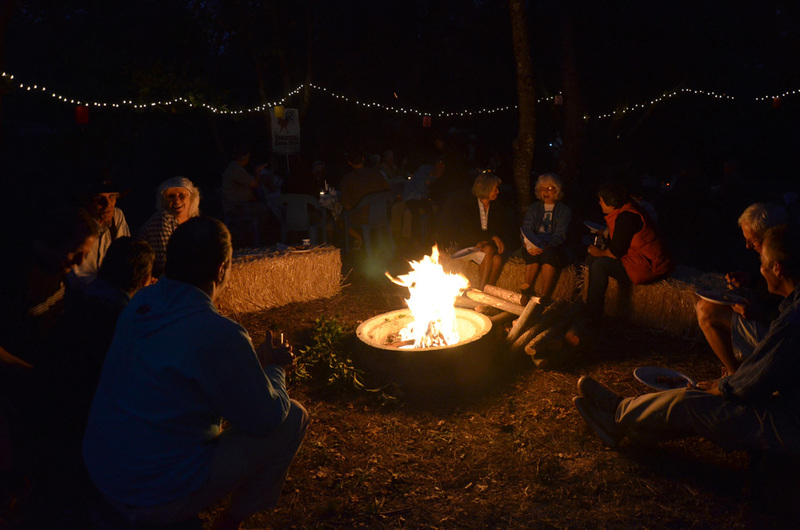 Each year, after our harvest and market season is over, we round up a bunch of friends for an afternoon of celebration (and potlucking and farm-touring and homebrew-tasting and campfiring and…) We say it every year, but this year’s party really was the best one yet! 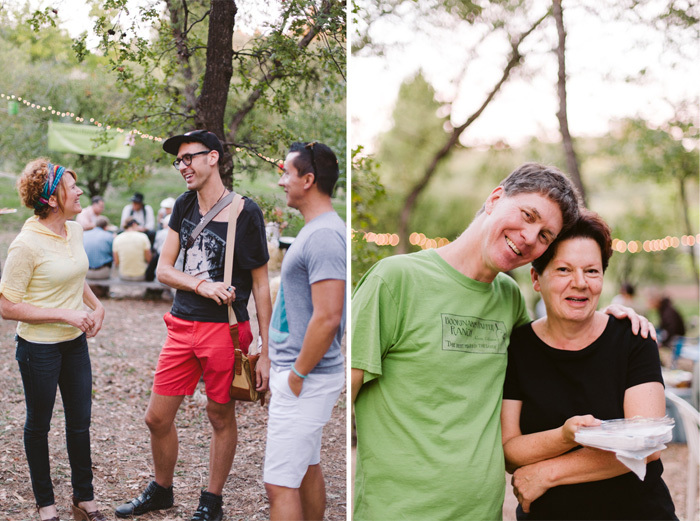 My dear friend Antonio De Lucci took these gorgeous photos of the festivities, and I’m so glad he did — I never manage to snap enough! He perfectly captured the afternoon, drenched in golden sunlight. 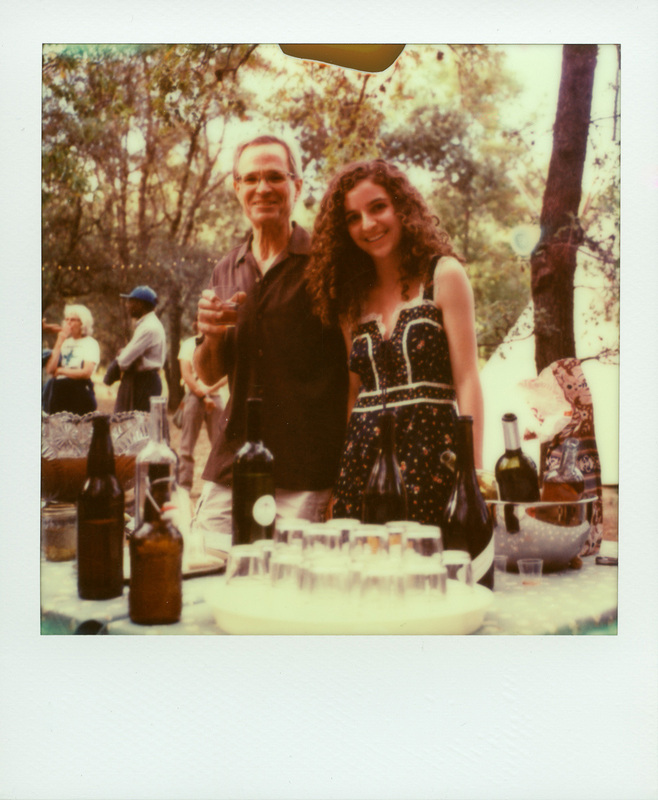 And look, real honest-to-goodness Polaroids! At left: the tipi presides over the gathering (with a giant woodpile at the ready for campfire time when it gets dark). Right: yes, we really did haul out the gigantic vintage punch bowl for pear-pomegranate punch, made with our own pear juice. Who says you can’t be fancy just because you’re out in the orchard? 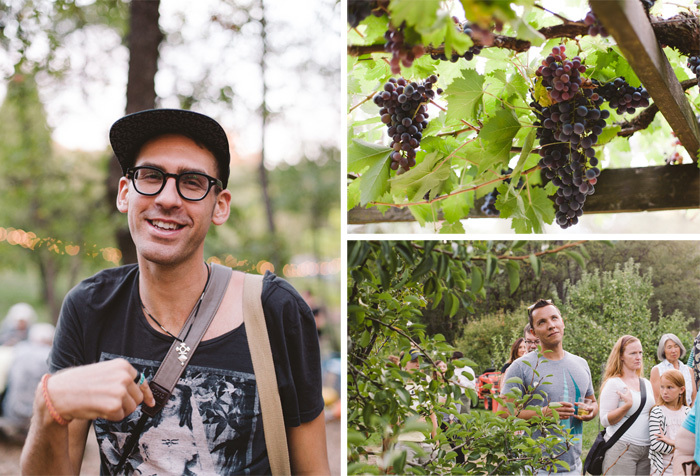 Punch bowls aside — the orchard, of course, is the real star of the party! Everybody finds a glass of something and heads out for a tour before dinner. I always feel like the farm just loves having all these people wandering around, admiring the Arkansas Black apples still on the trees, tasting grapes under the arbor, and taking turns to duck into the little wine cellar. And then it’s time for dinner — a fabulous potluck! One of the things I love most about this party is that it’s a rare opportunity to bring together all our friends from various spheres… farmers, musicians, beekeepers, radio DJs, artists, teachers, foragers, endurance runners, and homesteaders all sit down together with homemade food and drink, and it’s such fun to see all the unexpected connections and conversations that come up! Somehow, no matter how many people show up, there’s always the perfect number of haybales to sit on, and the big table magically expands to fit every last delicious dish. 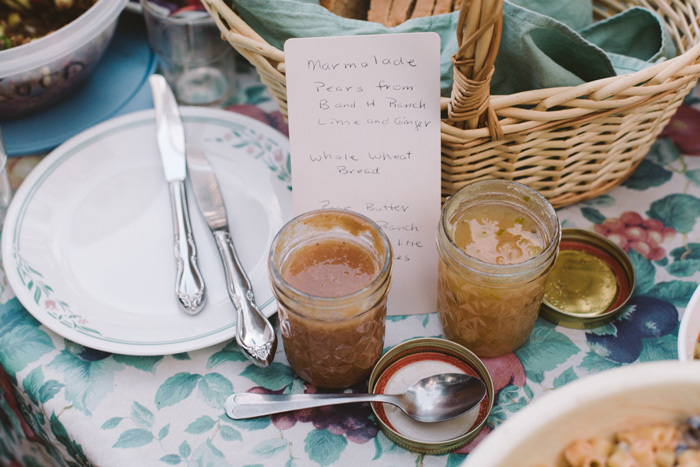 Above: our neighbour Elizabeth brought pear marmalade and pear butter that she made from our fruit! 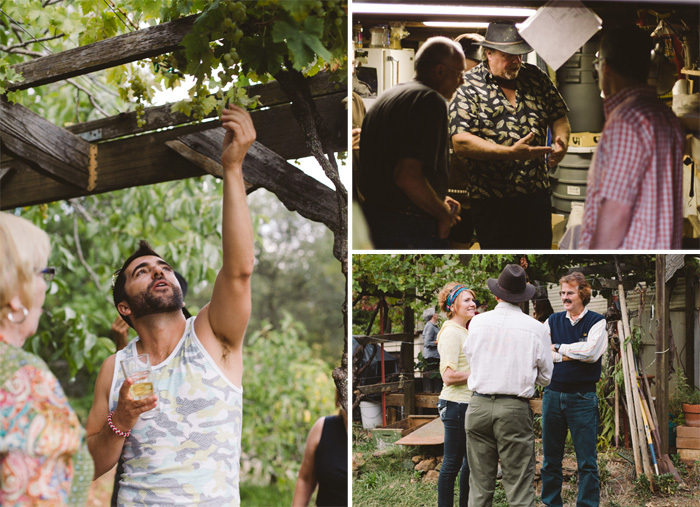 Clockwise from left: photographer Antonio De Lucci; heirloom-variety table grapes under the arbor; last rays of sun in the orchard. Come dusk, I did manage to get out my camera and snap a few photos of the campfire. Marshmallows appear, Tom produces a bundle of fresh pear twigs perfect for toasting sticks, and everyone gathers around the crackling flames as the crisp chill of a fall evening settles in. 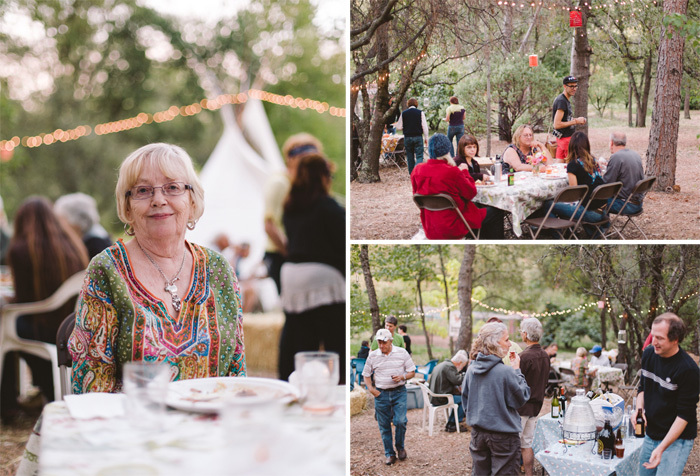 It’s been another marvelous season, with great farmer’s market days, wonderful customers and friends, some of the most beautiful fruit we’ve ever grown, and yet another fantastic party to celebrate it all! Thanks to all of you for supporting our “little family farm that could” — we’re so grateful to have you as our community. Wishing you all a bright and beautiful Autumn! Many thanks to Antonio De Lucci for the photos! Check out more of his work at antoniodelucci.com. I love your dress in the polaroid photo, there’s something about that picture that looks really timeless. Hi Emily — thanks! It’s a rare occasion to wear a fancy party dress around the orchard 😉 …the Polaroids do seem to fit so well with the Farm; something about “old stuff” is always at home here, and it so perfectly captures that golden autumn light! Thanks for sharing. Brings back fond memories to this old farmer. Thanks, Don! I love that we can share the Farm now with so many people, both at the party and with the blog! Julia: Just received your post and really enjoy all you do. Here is looking forward to a good water year and good crops. HAPPY NEW YEAR!! Thanks, Don — a very happy New Year to you too! 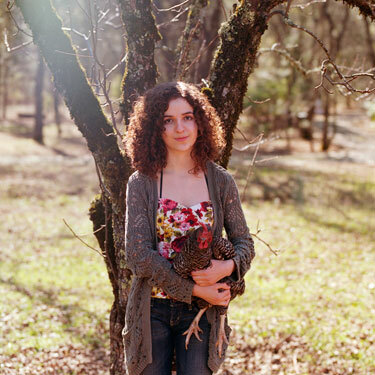 Welcome to our Farm Blog! Our family has been growing pears and plums in Auburn since 1918. Now, four generations later, we are still a small family owned and operated business, and we are passionate about keeping it that way! 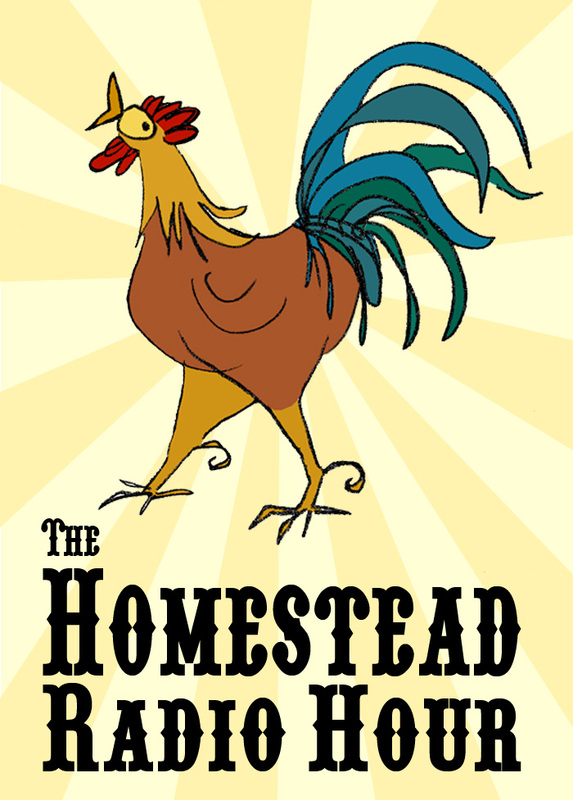 Every person's guide to do-it-yourself sustainability, backyard farming and urban homesteading, hosted by Phyllis and Julia Boorinakis Harper. Learn how you can create a fresh, local, and rewarding lifestyle right in your own backyard — listen live on KVMR 89.5 FM, third Fridays of each month at 12 noon, or visit the podcast archives here!